Located off Hazelwood Drive, the Meadow Brooke Subdivision is a single-family home development in Smyrna TN (Rutherford County). Popular streets in Meadow Brooke Subdivision include Belaire Drive, Clearview Drive, McNickle Drive and Prindle Drive. 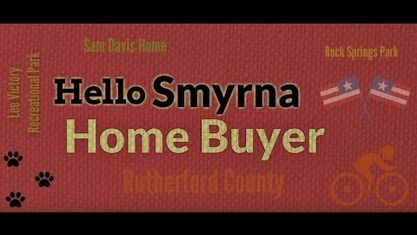 Other Smyrna Subdivisions near Meadow Brooke Subdivision include C E Beatey Subdivision, Chaney Woods Subdivision, Cobblestone Subdivision, Collins Estates Subdivision, Crosslin Homes Subdivision, Davis Park Estates, Enon Springs Subdivision, Fannie Jarrets First, Gregory Estates Subdivision, Highland Heights Subdivision, Jesse James Smith Subdivision, Maplewood Subdivision, Mason Tucker Subdivision, Mill Springs Subdivision, Oak Leaf Village Subdivision, Oak Valley Subdivision, Posey Acres Subdivision, Preserve at Stewart Creek Subdivision, Riverview Subdivision, Rookers Bend Subdivision, Sam Davis Heights, Southside Planned Development, The Meadows Subdivision, Village Green Subdivision and Woodmont Subdivision. View our selection of available properties in the Meadow Brooke Subdivision area. Get to know Meadow Brooke Subdivision better with our featured images and videos.